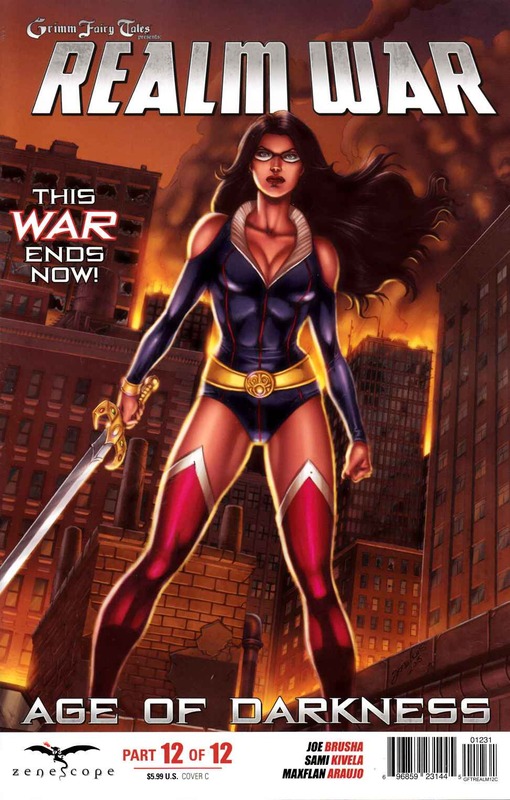 The epic conclusion to the longest running miniseries in Zenescope history is here. With her friends dying all around her only Sela is left to face Lucinda and her army. With no chance of survival all that Sela can do is try to take the Dark Queen with her and end the Age of Darkness. You can't afford to miss the stunning conclusion.